In many ways, this unique pageant's definition of what American beauty truly entails is the ideological antithesis to Miss America. 1. It's NOT a "beauty pageant." 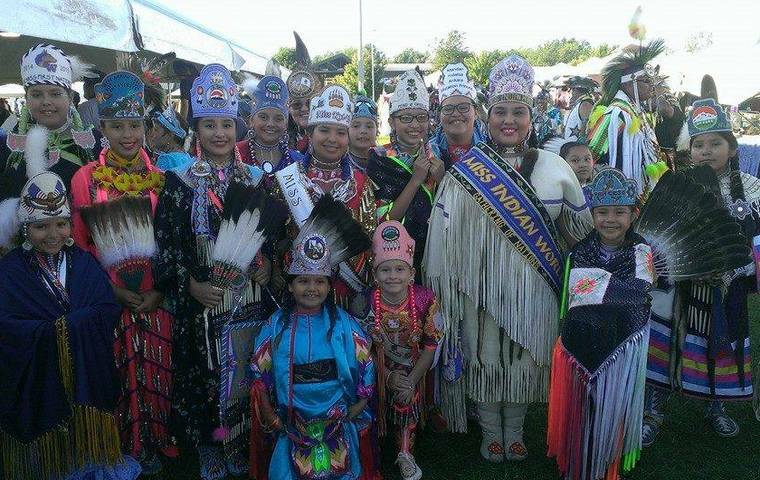 "It's not a beauty pageant and it never has been," contest coordinator Melodie Matthews told Native Peoples magazine. And she's right: The currency rewarded at Miss Indian World is not looks, but "cultural knowledge" — a quality determined by a panel of 25 judges through a personal interview, public speaking assessment, essay submission and dance competition. While the actual judging process is relatively opaque, the message behind the standards remains abundantly clear: Leave your spray-tan at home, it won't save you here. 2. 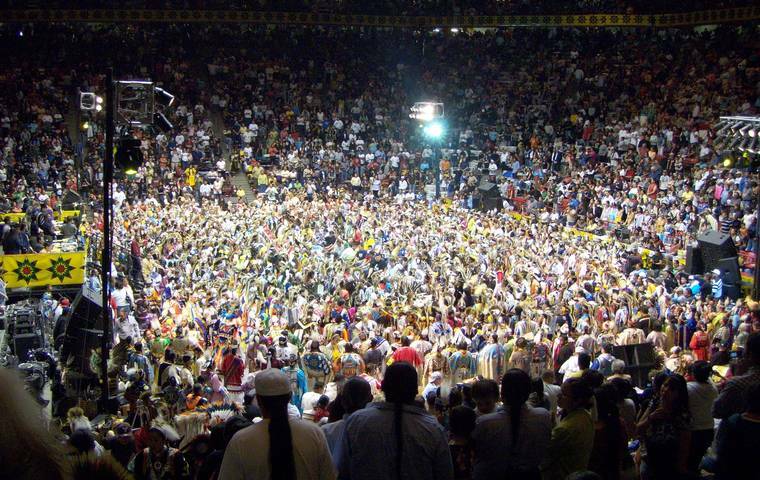 It takes place at the world's biggest powwow. 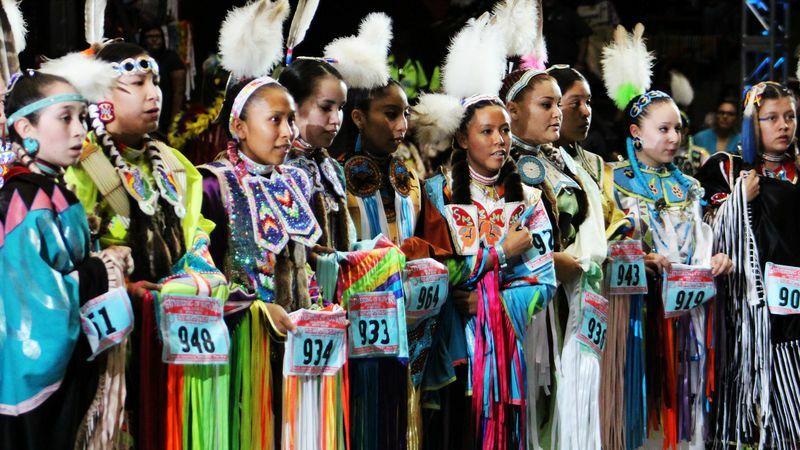 Miss Indian World isn't even the biggest cultural event taking place in Albuquerque that weekend in April. The Gathering of Nations Powwow (GON) — the largest such gathering of indigenous people in the world, according to Al Jazeera — is the celebratory backdrop against which the pageant is set. Al Jazeera reports that GON draws an estimated 112,000 people to the area, resulting in a regional economic impact of up to $21 million and making it a fixture of New Mexico life for the past 31 years. Not to mention, the images it produces are stunning. 3. Every winner is a woman of color. It wasn't until 1941 that the first Native American contestant (Miss Oklahoma) competed, and then it was 30 years more before the second one. The first black Miss America wasn't crowned until 1984. 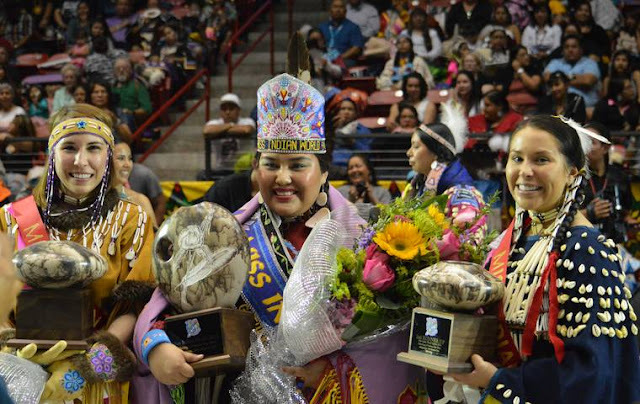 Miss Indian World, on the other hand, can be read as a full-on celebration of women of color. 4. There's no b*kini contest. You won't see Miss Indian World parading around in a b*kini, or evening wear for that matter — the contest's overwhelming emphasis on "cultural knowledge" leaves little room for that. What you will see is the maintenance of what Al Jazeera calls a space for Native women to combat "stereotypical notions of the 'Indian maiden' or the disappearing Indian." Simply put, the "beach body" is not a factor here. 5. When the apocalypse comes, you want these women on your team. One of this year's runners-up, 23-year-old Megan Leary of Napaimute, Alaska, demonstrated she is ready for pretty much anything. She drives a snowmobile, fixes boat engines and carries a .243 Winchester rifle when hunting moose, Al Jazeera reports. Other contestants demonstrate their proficiency with bows and arrows during the talent portion of the competition. No plastic cups here. Opportunities to celebrate individual indigenous groups on a large scale are rare — especially in a country that's historically been committed to eradicating Native cultures. Not to mention, it's a chance to combat negative stereotypes: "It's empowering for people to understand and break away from that ignorance," Young told Native Peoples. The qualities rewarded at the Miss Indian World pageant, however, last a lifetime. These are the attributes we should really be celebrating. 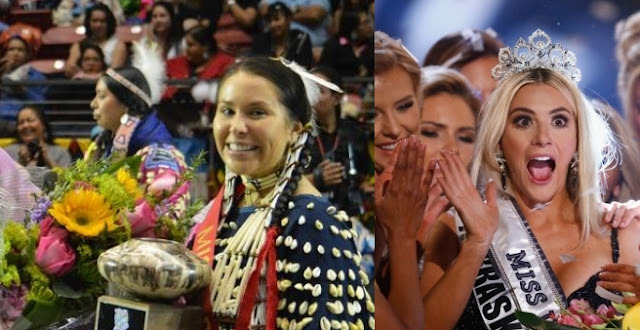 Responses to "How Native American Woman Revolutionized Beauty Pageants"